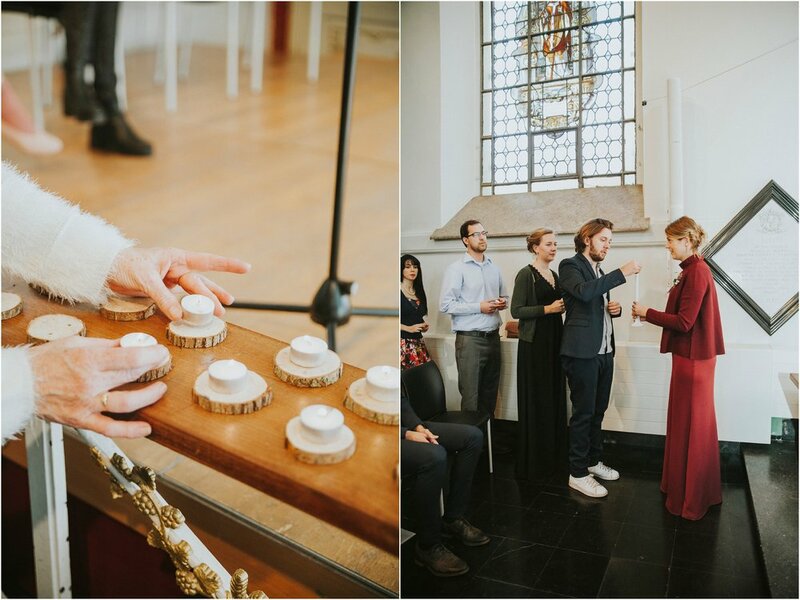 An unusual wedding right in the middle of Ghent. 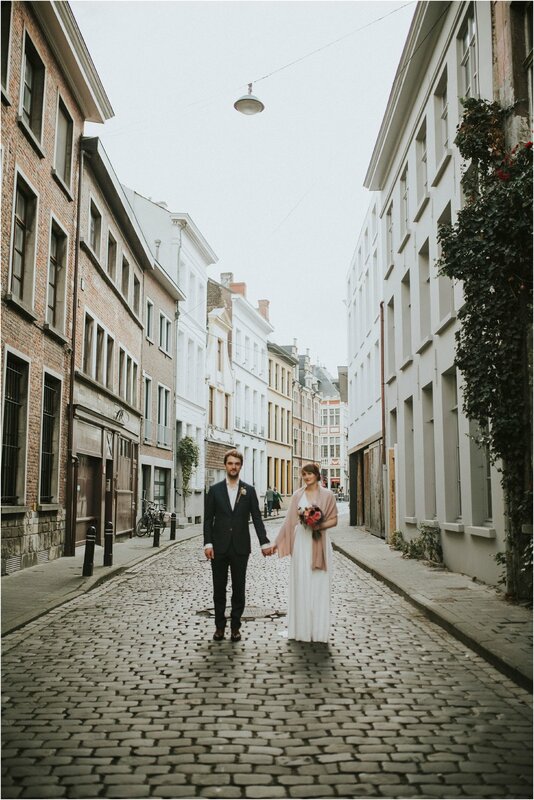 Wendy and Dries had it all figured out: they love their city and they wanted to celebrate in their natural surroundings. Not allowed on their wedding day: any form of transport. They decided to conquer their day by foot, which resulted in the most magnificent procession of wedding guests right in the centre of the beautiful city. The day started with a boat trip at the canal. For a while we seemed like tourists in our own country, learning new things about Ghent and watching magnificent buildings. After that everyone walked to a small church they had rented. On the way, they ordered soup and bread for everyone. And after their ceremony we all walked together to their venue. That’s right: 50 wedding guests in the centre of Ghent, all dressed up with big smiles and warm wintercoats. A small twilight zone kicked in on our way to their venue. The city lit up quietly and while they enjoyed their evening with dining, talking, laughing and dancing, I tiptoed trough small streets with cafés and the smell of fall in the city back to my car.